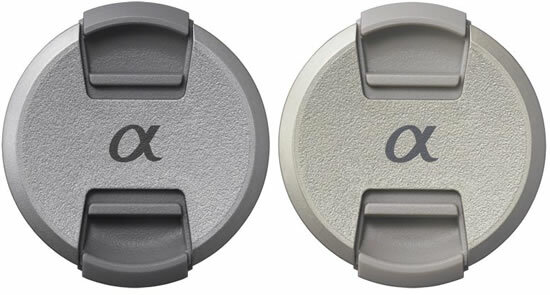 Sony announced color lens cap ALC-F49AT with 49mm diameter. The color lens cap will be available in four different colors- white, pink, silver and gold. The front color lens cap will be available in a set of two different colors. The Sony color lens cap ALC-F49AT will be available in Japan next month for approximately 2,625 yen ($32). The lens cap can be used with the following Sony E mount lenses-E 16mm F2.8, DT 18-55mm F3.5-5.6 SAM, E 30mm F3.5 Macro, Sonnar T E 24mm F1.8 ZA, E 50mm F1.8 OSS, E 55 – 210mm F4.5-6.3.